reduce or eliminate the need for medications. authentic gumbo that lives up to the highest standards of New Orleans cuisine. Other recipes include: Vanilla Spice Broiled Chicken, Home Fries, Cheddar Biscuits with Butter and Jam, Candied Fennel Tart, and a Cake with Chocolate Butter Cream Frosting that has less than 4 grams of carbohydrates per slice. There are menus for quick breakfasts and snacks, tasty everyday meals, elegant dinner parties, traditional holiday feasts with all the trimmings, and everything in between. Every menu includes carbohydrate totals for the meal in order to simplify carb counting. Mix and match alternatives and options make them easy to customize for individual needs. A complete nutrition data analysis, including portion sizes and preparation time, is provided with each recipe. 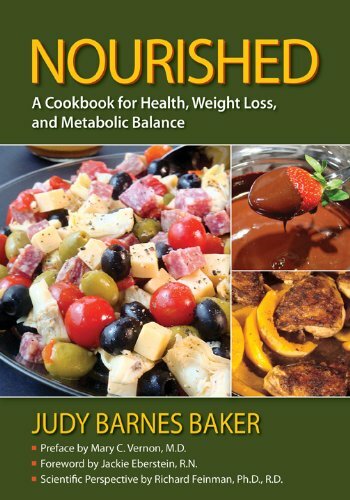 Helpful tips, stories, and quotes make Nourished not just a cookbook, but a good read as well. closely duplicate the taste and texture of baked goods made with regular flour and sugar. restriction the best diet for weight loss, diabetes, metabolic syndrome, and, for most people, general health. – Mary C. Vernon, M.D., Specialist in metabolic disorders and co-founder of Innovative Metabolic Solutions with Gary Taubes and Eric Westman, M.D. CARB WARS IS SOLD OUT! You don’t have to compromise on taste in order to cut carbs. 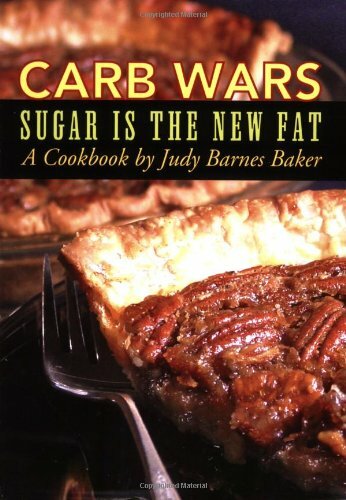 Carb Wars: Sugar Is the New Fat is filled with over 370 low-carb recipes that let you indulge your cravings while still maintaining a healthful lifestyle. Who would have thought that pecan pie, chocolate cake, cornbread, and peanut butter fudge could be part of a weight loss diet? This is food too good to resist and now you don’t have to!